SAYING there is no legal impediment on the matter, the Cebu City Government will push through with the construction of the unfinished components of the Unit II Carbon Public Market. Lawyer Winefredo Orcullo, City Market Administrator said that the City has P62 million remaining budget for the project that can be used once the construction of Unit II will start again. “We asked the Department of Engineering and Public Works (DEPW) to make a program of works and estimates (Powe) to see if the P62 million is enough to fund the project because if not, we will ask for fund augmentation,” he told reporters. Orcullo said that once Unit II will be completed, it will accommodate the vendors, who used to occupy the area before the old structure was gutted by fire more than 20 years ago and some of the ambulant vendors at the Carbon Public Market. The City Market Authority held a general assembly with ambulant vendors at the Carbon Public Market on Thursday, January 24, to remind them of their rights and obligations while doing their livelihood. According to the original plan, Unit II can accommodate 176 stalls but the City plans to increase it once the DEPW will come up with an updated Powe. City Attorney Joseph Bernaldez said that the City can go ahead with the construction of the Unit II project since there is no injunction or any restraining order issued against the project. “As far as I know, the City can continue the project but I will have to check if the contract between the second contractor and the City was already cancelled,” Bernaldez said. Orcullo said they target to bid out the project again before the ban on the implementation of infrastructure projects will be implemented by the Commission on Election. Earlier, Young Builders Corp. (YBC) was chosen as the first contractor for the Unit II project but civil work was halted because Mayor Tomas Osmeña, during his previous term, wanted to change the design of the building. The mayor wanted to include a parking at the rooftop of Unit II to decongest the Carbon area from vehicles that park by the roadside. The market was rebuilt after the old building was razed by fire in 1998. After it, YBC filed a case for breach of contract against the City and demanded the payment of its initial works in 2008. After Osmeña's term expired in 2010, his successor, Michael Rama allowed YBC to pursue the project but the latter failed to resume, prompting Rama to revoke the contract and award it to Geety Realty Development Construction. 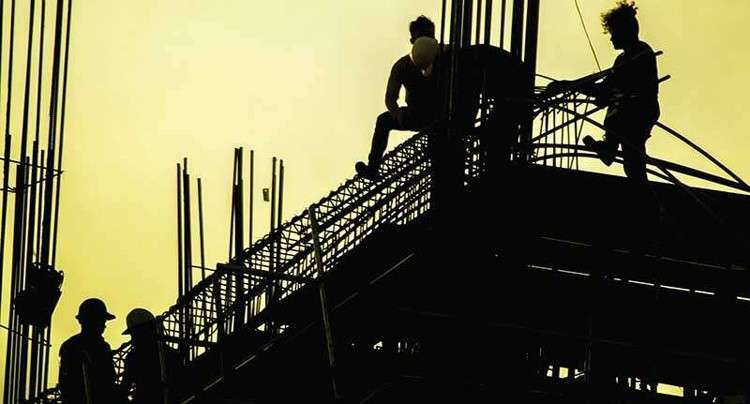 But the civil work was again stopped following the recommendation of the Commission on Audit for the City to cancel the P167-million contract with Geety Realty for its failure to finish the market building on time.